Introducing the Overlook at Edgemont Highlands. 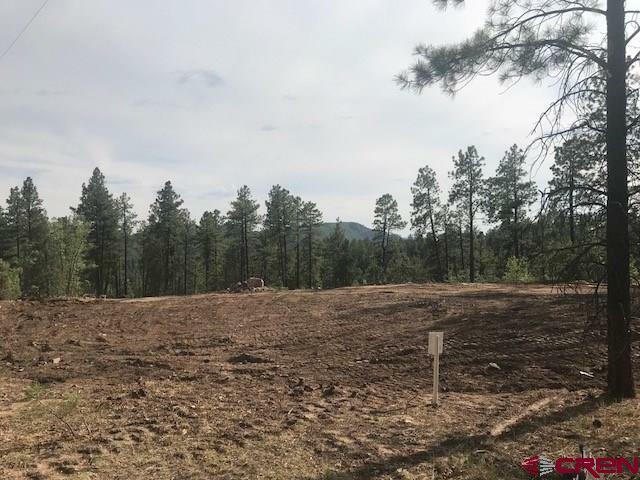 The Overlook features a range of medium to large lots with ponderosa pines and great views of the surrounding mountains and valleys. The Overlook is surrounded by open space and brings you everything that you love about Edgemont Highlands living, with views and privacy. Between the first and second phases of the Overlook, the developer has allocated over 70% of the area to open space. This phase of Edgemont Highlands provides a great opportunity to purchase a view lot. Residents in Edgemont Highlands enjoy the Community Lodge for neighborhood and/or private events, 10+ miles of hiking and walking trails, 200 acres of open space, over a mile of private fishing along the Florida River and is only minutes from downtown Durango. The Edgemont Highlands Community Association fees are billed quarterly at $135 ($540 annually). Edgemont Ranch Metro District provides water and sewer for the subdivision, which are billed directly to each homeowner at a current rate of $159/month (verify usage details with ERMD). The Metro fee also covers snow removal for all main roads in Edgemont Highlands. While you own/hold a vacant lot ERMD charges an annual stand-by fee of $1,320 rather than the monthly usage fee. All fees to be verified by Buyer. There are no tap fees at Edgemont Highlands.